Jean-Pierre Balpe ou les Lettres Dérangées was created as a homage to the poet and software developer Jean-Pierre Balpe. The title of the piece can be understood in a number of ways. In French, the word "letters" refers to the alphabet, mail correspondence, and also to the art of writing itself. The piece consists of a number of letters which are not all visible to the reader until the very end. The word "dérangé" has a number of meanings as well. One meaning is physical disturbance. The letters themselves are distorted, just as the meaning of letters and words became distorted when Balpe introduced the literary world to text generation. The word also means mental disturbance. Disturbed by the mouse passing over them, the letters unpredictably go in all directions without reason. The underlying algorithm brings the letters to madness. The actions of the reader turn the poem into a kind of game. 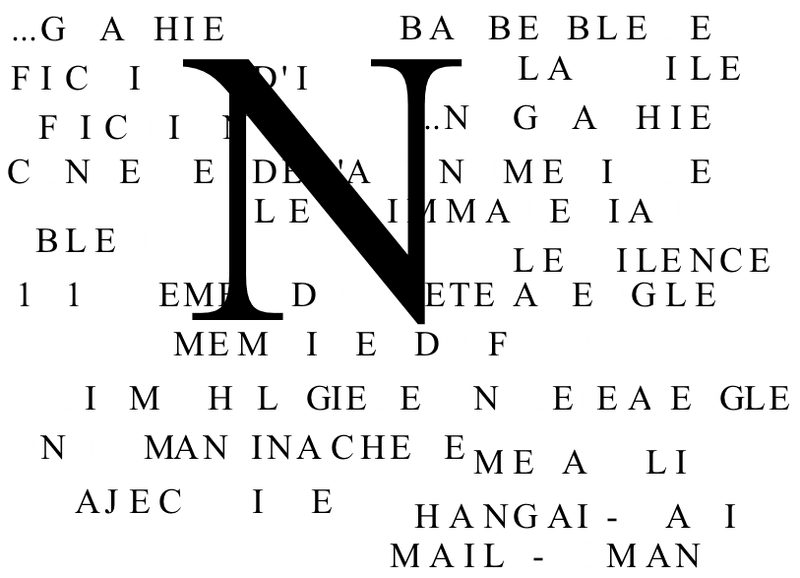 The purpose of the game is to get to the end of the poem by playing with the letters without falling into any traps. Starting with a screen white as a fresh sheet of paper, the reader can, with some luck and a lot of tenacity, reach the end of the poem: "this is not the end," written in red on Balpe's bibliography. Only at the end does the text become meaningful. Jean-Pierre Balpe ou les Lettres Dérangées is in French. To disturb the letters, move the mouse. The user will be able to progress by handling the mouse pointer systematically and wisely.